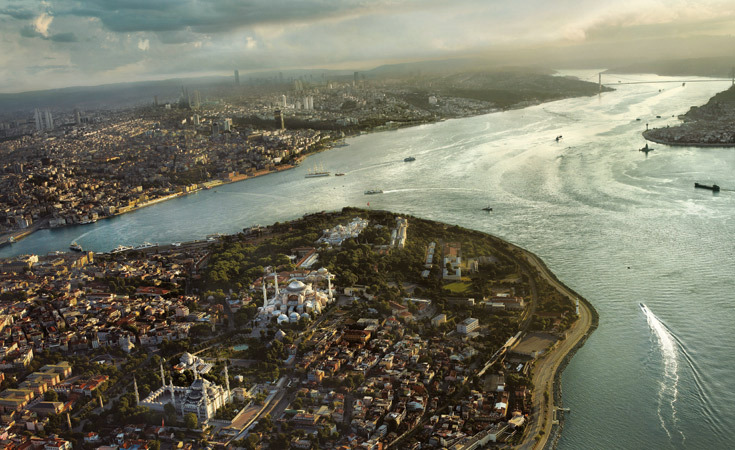 Istanbul, with a history spanning over 8,500 years and encompassing many different civilizations, was chosen as the 2010 European Capital of Culture. The inspiring city of Istanbul - which together with the cities of Ruhr and Pécs was a 2010 European Capital of Culture – won this title after much effort and preparation. Istanbul, with a history spanning over 8,500 years and encompassing many different civilizations, was chosen as the 2010 European Capital of Culture. The inspiring city of Istanbul – which together with the cities of Ruhr and Pécs was a 2010 European Capital of Culture – won this title after much effort and preparation. The first and perhaps the last city in a non EU-member state to assume the title, it experienced a year filled with art and culture. Istanbul – its roots growing always deeper and its eyes constantly on the future – carried out a wide range of original work in the area of both traditional and contemporary arts with the aim of reflecting the diversity of its culture in these projects. Throughout 2010, the city made important steps in many areas, from increasing access to art and culture to establishing permanent relationships with EU artists. Istanbul, in the course of its work as a 2010 European Capital of Culture, carried out a total of 549 projects and activities in the areas of the visual arts, theater, and the performing arts; music and opera; documentary film and animation; traditional art; literature; international relations; cultural heritage and museums; and urban projects, urban culture and education. As a result of all of the exhibitions, concerts, workshops, conferences, restoration work, and dance and theater performances that took place during its year as the European Capital of Culture, the city of Istanbul – with all the charm of its history, culture and natural beauty – took one more step into the future.